Elevator Pitch: Murder expose takes The Haunting to Iowa—and beyond (via a slippery slope)! Plot Hook: The investigators are literally investigators—journalists—looking to write an expose of serial killer murders in the 1920s. 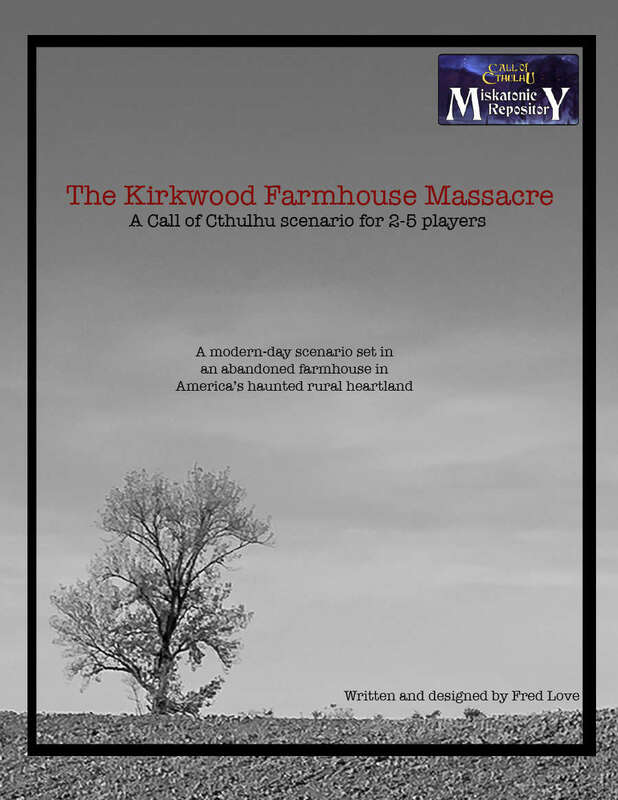 Plot Development: Unincorporated towns; ghosts; possible prequel to ‘Forget Me Not’ from Things We Leave Behind or an investigation for Saucerwatch from Delta Green? 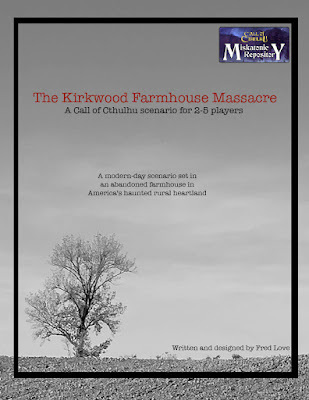 Plot Support: Free PDF, The Kirkwood Farmhouse Investigation, provides investigation and context; straightforward plot. Production Values: Needs a slight edit. Hand-drawn maps.